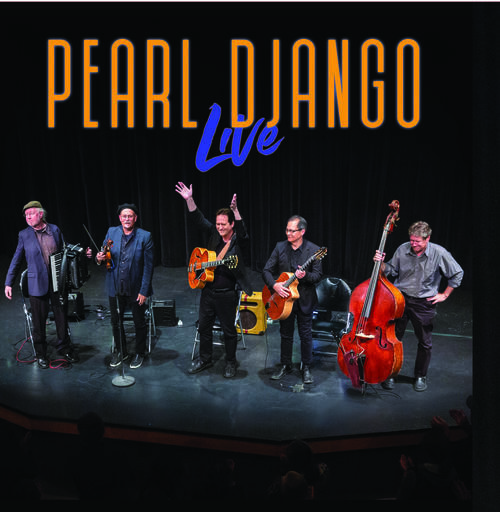 Celebrating 25 years of performance, Pearl Django is releasing its first live recording. The group's fourteenth CD contains twelve tracks recorded from one show, August 31, 2018. These tracks show off the fine musicianship, the energy, the spontaneity, and the empathy the players all have. 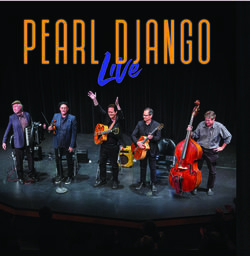 Eleven of the twelve tunes have been released on previous Pearl Django CDs, but the 'live' versions capture Pearl Django's true love of performing. This CD also shows off the newest version of this tight knit group of three veterans and two relatively new members. This is a rhythm section that lives up to the name given to Pearl Django about 24 years ago, "The mighty engine of rhythm."